Social Dynamic — Valerio Dewalt Train Associates, Inc.
Have you ever been people watching and notice how individuals act very differently within a particular space or moment? An extreme example could be how one acts at a Cubs game versus a networking event. Experiences and place can, and should create a strong microculture with its own set of socially agreed upon interactions. These interactions create more memorable places and allow you to interact with others and share your experiences. "Scholarship of teaching and learning takes place in contexts. These contexts or microcultures in which the teachers perceive and practice teaching and learning are the focus of this paper. Taking our point of departure in the heuristic model of four types of microcultures (Roxå & Mårtensson, 2015) this paper seeks to investigate ways to identify and describe microcultures in a higher education organisation. By analysing the requests for obtaining licenses for an educational software program among teachers at the University of Southern Denmark we have identified two representatives of cultures with less or no dialogue on teaching matters and one representative of a dialogical culture. As a method of detecting other members of the microcultures at stake we use a snowball sampling method. The informants (12 in all) are interviewed through semi-structured interviews. Preliminary results from the interviews point to empirical differences among the microcultures in question. The representatives of the dialogical culture show a strong sense of community and describe a shared responsibility for the development of quality in their teaching. The representatives of the other microcultures describe their communication with colleagues as happening by coincidence and teaching seems to be an individual affair. The results point to a new way of identifying different microcultures. By using the requests for educational software licenses as an indicator for microcultural status we are able to learn more about different types of microcultures and thereby obtain a more nuanced knowledge of the contexts in which the scholarship of teaching and learning is to act in and upon." "Social interaction is a central feature of people’s life and engages a variety of cognitive resources. Thus, social interaction should facilitate general cognitive functioning. Previous studies suggest such a link, but they used special populations (e.g., elderly with cognitive impairment), measured social interaction indirectly (e.g., via marital status), and only assessed effects of extended interaction in correlational designs. Here the relation between mental functioning and direct indicators of social interaction was examined in a younger and healthier population. 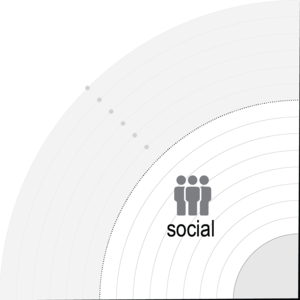 Study 1 using survey methodology found a positive relationship between social interaction, assessed via amount of actual social contact, and cognitive functioning in people from three age groups including younger adults. Study 2 using an experimental design found that a small amount of social interaction (10 min) can facilitate cognitive performance. The findings are discussed in the context of the benefits social relationships have for so many aspects of people’s lives." "Microcultures are signified by norms, traditions and recurrent practices that can vary considerably. This variation allows microcultures to adapt to the specifics of their respective contexts and thereby increase their functionality. Through a study of five academically strong microcultures it is shown that even though they function differently, they all display similar design principles. 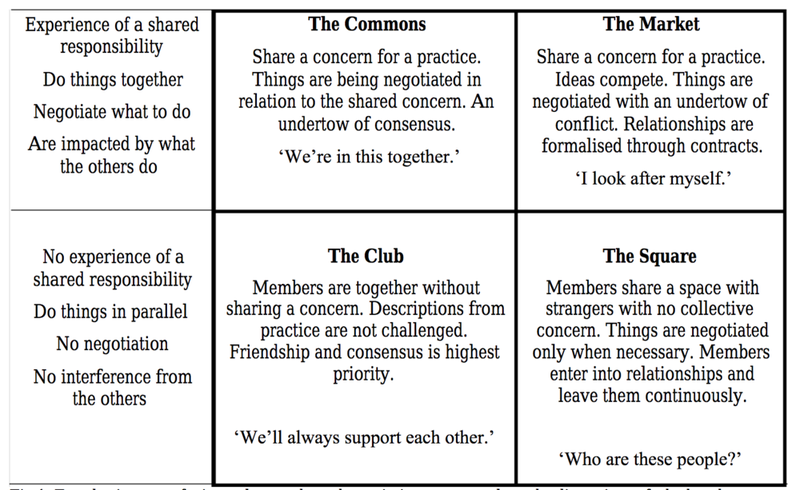 The appearances, functions and applications of these design principles are most likely keys for future exploration of microcultures in higher education organisations." "Mobile-device habits may not be anti-social, but rather hyper-social -- stemming from a healthy human need to socialize. This is the finding of a new review of the dysfunctional use of smart technology, which concludes that the most addictive smartphone functions all share a common theme: they tap into the human desire to connect with other people." "53% say they would purchase more products that are socially and environmentally responsible if it connected them to a community." "Due to the lack of student engagement in the common lecture-centered model, we explored a model of instructional delivery where our undergraduate and graduate classes were structured so that students had opportunities for daily interaction with each other. Specifically, we examined how students perceived the value of social interaction on their learning by reflecting on their classroom experiences at the end of each class period. Three literacy teacher preparation courses during a summer session were chosen for this study based on the highly interactive nature of each course. The purpose of the study was not to determine the difference between different models of instruction, but to determine our students’ perceptions of the value of the social interaction that was taking place in our classrooms on their learning. The findings reveal that students in all three courses perceived that social interaction improved their learning by enhancing their knowledge of literacy and teaching and their critical thinking and problem-solving skills."